My name is Peter Westbrook. 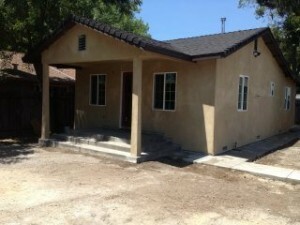 I am a real estate investor based in Stockton CA and We Buy Houses For Cash In Stockton, Sacramento and Modesto. There are clearly two distinct worlds in real estate; the one where the cash buyers can quickly purchase a house in a matter of 10 days or less and the second world that involves real estate agents, mortgage brokers, home inspectors, real estate appraisers and lawyers. So what is the difference between the two beside the number of people, the time and money? The Financing. In life there is an axiom… if you want to know the truth about anything just follow the money? Of course there are many iterations in between these two worlds but for our purposes I am going to illustrate them and focus on how uncomplicated the process of selling an unwanted house can really be. The real estate industry is not as complex as most people would make it out to be. Each transaction may have it’s unique complexities, but those issues are usually vested in what each of the parties in the transaction really want. In the old days it was just buyers and sellers. The sellers wanted $X and the Buyers were willing to pay $Y. They eventually agreed on a price and went to the land office and recorded their transaction in the form of a deed. In it’s most simple form, way back when, there were no real estate agents and mortgage brokers to complicate matters. It was a Seller and a Buyer and the Land office and sometimes an attorney. But then again, the transactions were mostly cash and because there was no financing involved the paperwork was generally a purchase and sale agreement and finally a deed. Soon, the world changed, economies grew and people moved. Real estate transactions became very common, financing became the preferred method of home purchases and people that wanted to buy and sell their property embraced the notion of simplifying an already pretty simple process to bring buyers and sellers together. Cottage industries grew and flourished to support an industry that has pretty much complicated everything for the average person. Because new parties (real estate agents, mortgage brokers, attorneys and Title Companies) were interjected into the PROCESS, new rules, regulations and tons of paperwork were created to protect the buyers and sellers from the predators that would seek to otherwise perpetrate fraud. In today’s world, the actual buying and selling of real estate is complicated by the inclusion of all of these people and the financing required for most transactions. So the complexities of the real estate transaction have become more technical and complicated because of all of the parties involved with each transaction. It is pretty easy to illustrate what I am talking about as most homeowners make one or two purchases in their lifetime and the “Process” that they see is pretty much the same for each transaction. Unfortunately, the typical buyer and seller have been conditioned to believe that unless they have all of these people involved in a transaction something can go wrong. When in reality the different parties involved are there, by design, to make the process as smooth as possible, but, unfortunately they equally complicate the steps and they are the reasons that most transactions fall apart. In every step of the process below, there is the potential for someone at each step to kill the transaction. 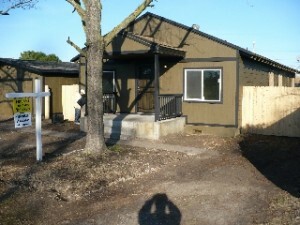 By the way this all works great if you are in a position to buy or sell the prettiest house on the block. We Buy Houses For Cash… How It Works. Whats the Process? You tell us about your property. We review the details, and set up a quick appointment to view the house. We set a closing Date at a local Title company. Time-frame: Once we get your information, we’re usually able to make you a fair all-cash offer within 48 hours. We will talk before that and schedule an appointment. From there, we can close as quickly as 7 days… or on your schedule. Westbrook REI buys houses in and around Stockton, Sacramento, Lodi, Manteca and Modesto. Let us help you develop your plan. Let us become part of your Team. We are Home Buying experts in Stockton, Sacramento and Modesto and we know how each of the components work to buy that Stockton House fast. We know each Title Company how they work. We know how Probate Courts work. We know How Bankruptcy Courts work and we know what homeowners want. Some one to work for them to get the job done. If you have any questions please call Peter Westbrook, he can explain the process because he understands that all homeowners are not all the same and yet everyone has questions and concerns. We’re not listing your house… we’re actually the ones buying your house. Because we pay cash, we’re able to close quickly… or on your schedule. There are no surprises, when you work with us there are no fees… there are no inspections and there are NO commissions to pay. What this means to you is you don’t have to worry about extra costs, having to come out of pocket to sell your house fast, or even getting your house ready for a sale (we’ll buy your house as-is, where it is, in any condition). There are no contingencies… No Repairs… Period! 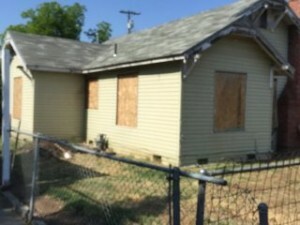 There can be many reasons why you might wish to sell your home to a “We buy homes in Stockton for cash” company. Not the least of these is that you may have had your house on the market with a conventional real estate agent for a long time, but with no buyer in sight. You might have taken a job and need to move quickly. You could be divorcing, or the house might be in probate. 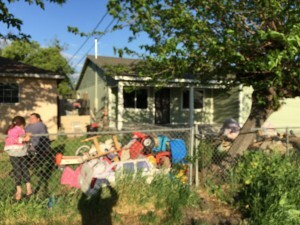 The house might have been damaged by fire, water or even trashed by vandals or tenants. There could be one of many other situations, but whatever the reason, if you need a quick sale we can provide just that. Simply contact us via telephone or email. I will personally come out to view and to value the property. We will set it up with the title company and you get paid. 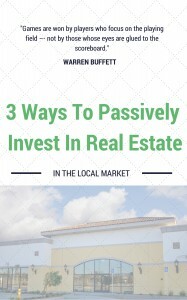 I know that you can appreciate that we are in business to make a profit and it is true that you will receive somewhat less than you might if you sold your house through a real estate agent. However, you will have the cash in your hand in as little as seven days and there are many other advantages in addition. 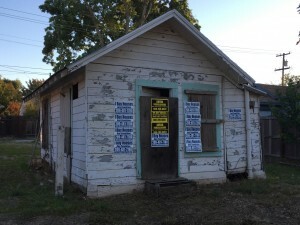 We will buy almost any property, no matter what its condition. There are No Appraisal fees. There are NO Inspections or fees for inspections. There are no One time charges whatsoever. There are no lawyer’s fees. Selling through a real estate agent usually takes 3– 6 months: with us it’s often as little as seven days. If selling through an agent you will still have to make your mortgage payments until the sale is completed. These can be considerable. You also have to pay your local taxes and insurance throughout this time. You will probably need to make repairs before putting your house on the market with a real estate agent. Many buyers offer a price, but then drop it by $5,000 or more after the Home Inspection report. With Westbrook REI Your sale is guaranteed. National statistics show that when selling through a real estate agent, one in three sales falls through. There is only one or two viewings. With a real estate agent you have people constantly parading through your home. If you are selling form another city, because you have inherited the house, arranging viewings is far more difficult. There are no “For Sale” signs outside the house. If you are distance selling there is always the possibility that thieves may realize the house is uninhabited and break in. 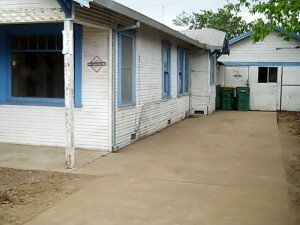 Once we have inspected the property we can usually make you a cash offer within a few hours to days. 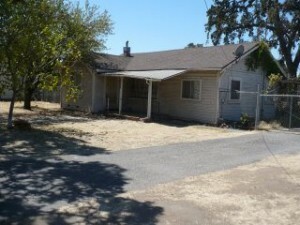 There might be a number of different reasons why you need to sell your Stockton CA house fast. Whatever is motivating you to sell your house at this time, we’re here to help you get through it through our local Stockton CA house buying program where we can buy your house for cash here at Westbrook REI. There are lots of reasons local Stockton home owners decide to work with us. Through our local “Cash For Houses” program, our company Westbrook REI, can make you a fair all cash offer on your CA house. We buy houses for cash in Sacramento, CA and surrounding areas and would love to make you a fair no-obligation offer on your house. Westbrook REI is the Stockton area’s most respected house buying company. We are family owned and we are a highly experienced home buying team that is focused on helping homeowners like you to sell your house fast, without any gimmicks, games, or fees, and we’re committed to delivering these services with transparency and integrity throughout the entire experience. 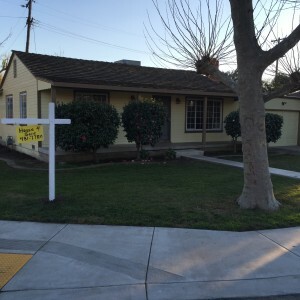 Need To Sell Your Stockton Area House Fast? Get Your Fair Cash Offer Below Or (209) 481-7780 Today! Selling your home can be a daunting process, but it doesn’t have to be. 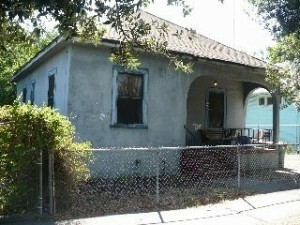 When you’re ready to sell, just know that we can buy your house for cash in Stockton CA. If selling your house the traditional route just isn’t working for you or isn’t an option… give Westbrook REI a call at (209) 481-7780 and we’ll evaluate your situation and make you a fair offer no matter the condition of your house.